In the Victorian era, as today, simply being the offspring of a famous personage was enough to earn fame. The First Duke of Wellington (1769-1852) is remembered for his part in defeating Napoleon at Waterloo, and for serving twice as Prime Minister. His son and heir, the Second Duke (1807-1884), is remembered for very little at all. 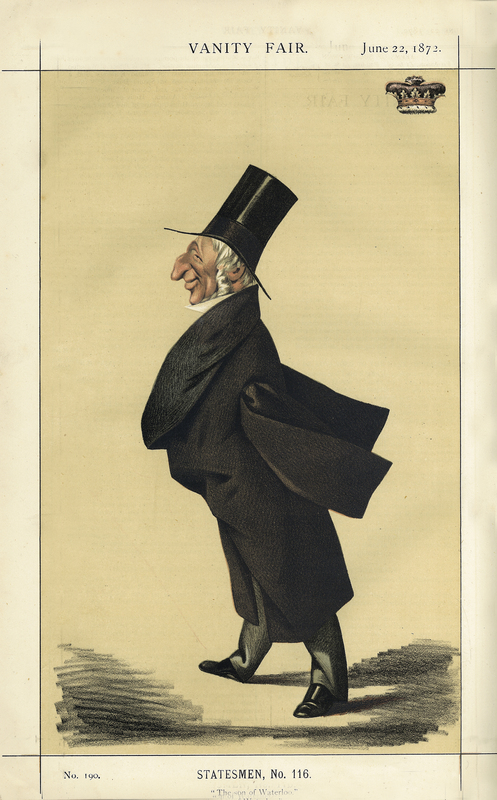 Adriano Cecioni, “Arthur Wellesley, 1st Duke of Wellington,” ourheritage.ac.nz | OUR Heritage, accessed April 22, 2019, http://otago.ourheritage.ac.nz/items/show/10906.